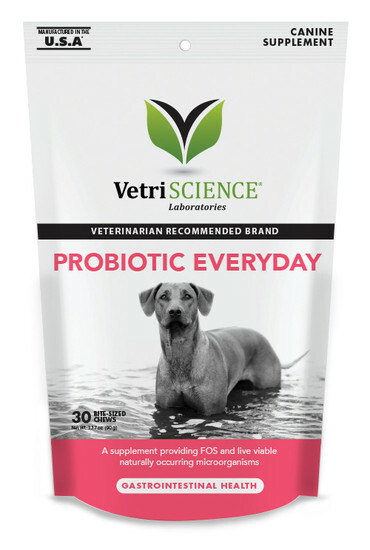 Probiotic Everyday is a chewable probiotic supplement for dogs, designed for easy use on a daily basis. It is especially recommended during times of added stress, like traveling or kenneling, and as a follow up to antibiotic therapy, because it contains 1 billion colony-forming units per chew. Probiotics support your pets overall health and happiness by preventing certain bacteria strains in their guts from growing to levels that can cause health concerns. We include prebiotics in Probiotic Everyday to support the growth of beneficial bacteria colonies, thereby supporting gut bacteria balance.